The potential for reusability of whey is of concern due to its substantial nutritional value and, second, in view of the need to reduce environmental impact. The use of goat whey powder in the production of a fermented dairy beverage using a Lactobacillus casei culture as adjunct shows a good prospect of a food product with hypotensive activity. 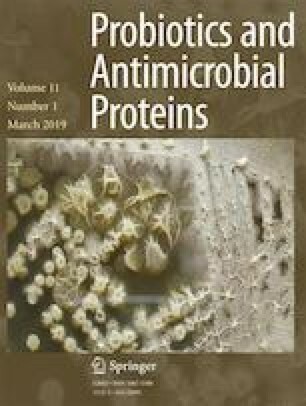 This study investigated the microbial viability, proteolysis and angiotensin-converting enzyme (ACE) inhibitory activity of a fermented dairy beverage produced with goat whey powder and a probiotic culture of L. casei BGP93 co-cultured with Streptococcus thermophilus TA-40. The probiotic beverage exhibited no significant difference from the control (absence of L. casei) with regard to titratable acidity, S. thermophilus viability and proteolysis degree during 21 days of storage (P > 0.05). During this period, the beverage maintained L. casei at appropriate levels (> 7 log cfu ml−1), thereby qualifying as a potential probiotic product. Although both control and probiotic beverages exhibited ACE inhibitory activity, as a result of proteolysis of whey proteins during fermentation, significant increased ACE inhibitory activity was found for the beverage with added probiotic L. casei (P < 0.05). The probiotic beverage has potency as a functional food candidate to be included in a dietary strategy aiming at prevention and control of hypertension. The authors wish to thank the Danisco Brasil Ltda. for providing part of the materials used in this study and the Laboratory of Food Science and Technology/Embrapa Goats and Sheep for their technical assistance. This study was supported by the Conselho Nacional de Desenvolvimento Científico e Tecnológico (CNPq, Projects 477799/2012-4, 157376/2014-1 and 137976/2015-1), Coordenação de Aperfeiçoamento de Pessoal de Nível Superior (CAPES), Brazilian Agricultural Research Corporation (EMBRAPA) and Fundação Parque Tecnológico da Paraíba (PaqTcPB).